0 Minutes and 0 Seconds?! How did this weekend sneak up on us! This blog is full of all the information you need to get you through this weekend. I have listed the hours of each event, transportation, gEAR check, coral deadlines, runDisney spectator information and more. 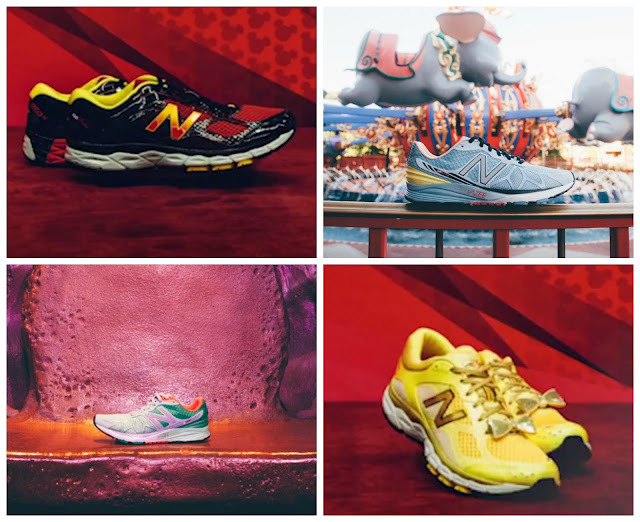 The expo opens this morning and many runners will be lining up to get their hands on a pair of the 2016 New Balance runDisney shoes. Mickey, Dumbo, Ariel and Minnie. Thoughts? The Marathon weekend consists of four races - a 5K, 10K, Half Marathon and Full Marathon. Two years ago this weekend, I took on the 48.6 mile Dopey Challenge and ran all 4 events. My Mom ran the 5K and 10K with me and I somehow finished the other two. Thursday, January 7, 2016; 6:00 a.m. Bus Transportation: 4:00 a.m. – 5:30 a.m. & 7:00 – 9:00 a.m. Participants must board a bus no later than 4:45 a.m. in order to make it to their corrals on time. gEAR Bag Check: Wonder Lot – Epcot®; 4:15 a.m. to 9:00 a.m.
Friday, January 8, 2016; 5:30 a.m.
On property Bus Transportation: 3:30 a.m. – 5:00 a.m. & 7:00 – 10:00 a.m.
gEAR Bag Check: Wonder Lot – Epcot®; 3:45 a.m. to 9:00 a.m.
Saturday, January 9, 2016; 5:30 a.m.
On property Bus Transportation: 3:00 a.m. – 5:00 a.m. & 7:00 – 11:00 a.m.
gEAR Bag Check: Wonder Lot – Epcot®; 3:00 a.m. to 10:30 a.m.
Sunday, January 10, 2016; 5:30 a.m.
On Property Bus Transportation: 3:00 a.m. – 5:00 a.m. & 7:00 – 2:00 p.m.
gEAR Bag Check: Wonder Lot – Epcot®; 3:00 a.m. to 1:30 p.m. Event Transportation from Disney Resorts to Expo: 9:30 a.m. – 7:30 p.m.
Transportation from Expo to Disney Resorts concludes at 8:30 p.m.
Thursday, January 7, 2016; 9:00 a.m. – 7:00 p.m. Event Transportation from Disney Resorts to Expo: 8:30 a.m. – 6:30 p.m.
Transportation from Expo to Disney Resorts concludes at 7:30 p.m.
Friday, January 8, 2016; 9:00 a.m. – 7:00 p.m.
Saturday, January 9, 2016; 10:00 a.m. – 4:00 p.m. Event Transportation from Disney Resorts to Expo: 9:30 a.m. – 3:30 p.m.
Transportation from Expo to Disney Resorts concludes at 4:30 p.m.
One thing I must stress - if you are not familiar with walking around the parks prior to a race, do not overdo it the night before race day. If you are running Dopey, going to the park on Wednesday and Thursday are OK but keep those legs out of the parks on Friday and Saturday. Here are the park hours for the 2016 Walt Disney World Marathon Weekend. If you're going to Epcot on Friday, let me know! Please be careful out there this week. We have had record high heats in Florida and the humidity has been over 80%. As a native Floridian, I have even had problems training this winter. 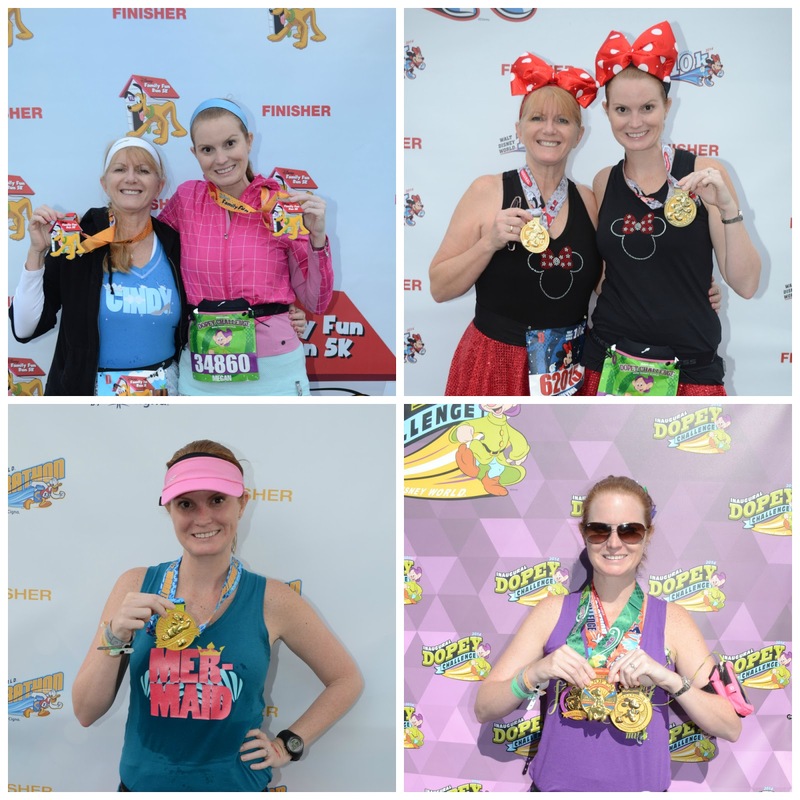 runDisney will hold their races rain or shine. However, if there is lightning in the area the race will either have a delayed start or depending on the intensity of the weather, be canceled. All medical stations will have the appropriate flag color displayed according to existing heat conditions: HYDRATE HYDRATE HYDRATE. Thursday, January 7, 2016; 11:00 a.m.
Friday, January 8, 2016; 11:00 a.m.
Saturday, January 9, 2016; 11:00 a.m.
Thursday, January 7, 2016; 12:30 p.m.
Friday, January 8, 2016; 12:30 p.m.
Saturday, January 9, 2016; 12:30 p.m.
Thursday, January 7, 2016; 7:00 p.m.
Friday, January 8, 2016; 7:00 p.m.
Saturday, January 9, 2016; 7:00 p.m.
Thursday, January 7, 2016; 6:30 a.m. – 8:30 a.m.
Friday, January 8, 2016; 6:30 a.m. – 8:30 a.m.
Saturday, January 9, 2016; 3:00 a.m. – 5:00 a.m. - Runners Only. 5:30 a.m. – 10:00 a.m.
Sunday, January 10, 2016; 3:00 a.m. – 5:00 a.m. - Runners Only. 5:30 a.m. – 1:00 p.m.
Sunday, January 10, 2016; 2:00 p.m. – 8:00 p.m.